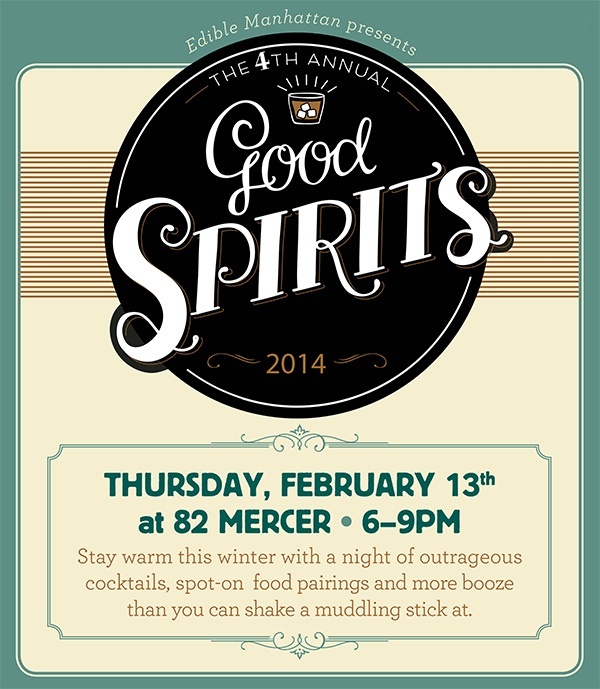 Edible Manhattan’s Fourth Annual Good Spirits is coming up on Thursday, February 13th. The event will be held from 6pm-9pm at 82Mercer and will feature a selection of the finest spirit brands paired with some of New York City’s favorite restaurants and food artisans. Tickets are $50 and are available here.